Cairo (AFP) - Egypt's president has ordered the creation of a committee to tackle "sectarian incidents", the official gazette said Sunday. The decision by President Abdel Fattah al-Sisi follows a string of jihadist attacks targeting the country's Coptic Christian minority. The body is to be headed by Sisi's security and counterterrorism advisor, the gazette said. That position is currently held by Egypt's ex-Interior Minister Magdy Abdel Ghaffar. The new committee, tasked with "developing a general strategy to prevent and confront sectarian incidents", will include representatives from security and intelligence agencies as well as the country's top anti-corruption body. Sisi's decision takes effect Monday, ahead of Egypt's Coptic Christmas celebrations on January 7. Egypt's Christians make up roughly 10 percent of the country's mostly Muslim population. They have long complained of discrimination, and sectarian violence intermittently erupts, especially in rural areas in the country's south. 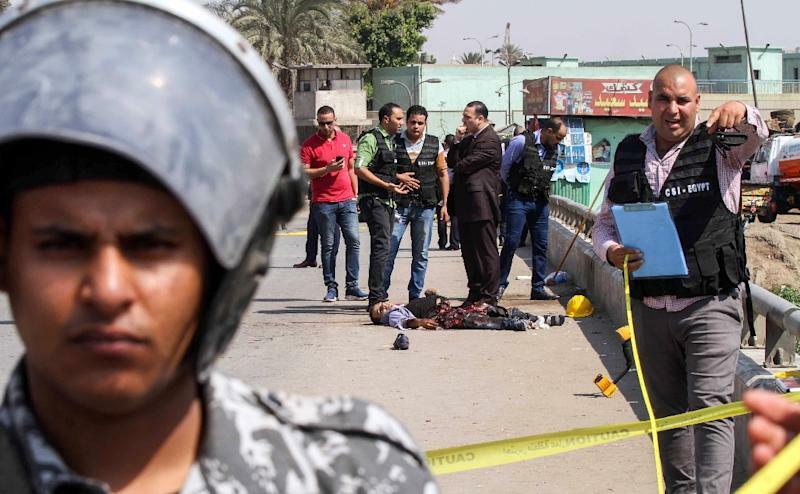 The embattled Christian minority has been targeted by a series of deadly attacks over the past two years, most claimed by the Islamic State group. Earlier in December, two Coptic Christians were shot dead by a Muslim church security guard following a verbal dispute in the governorate of Minya.